In the generation Arte, Nokia will add back a series of mobile phone "exclusive" to the market. 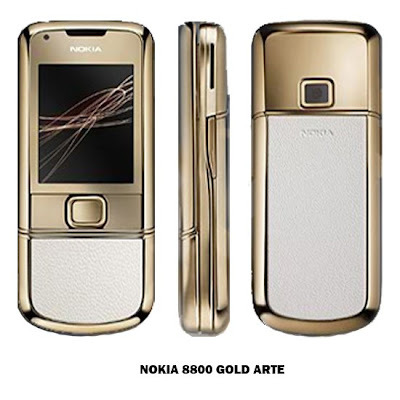 This time, pure gold 18 carat plus skin material is selected as the cover dressing family Nokia 8800 Arte and make the new more luxurious than his senior. Phones that have a Nokia 8800 Arte is, indeed has not been officially introduced. However, if a series of design and attention to, is certainly a difference of only light in the cover material used. Meanwhile, in the feature does not have a difference compared to original Nokia 8800 Arte and 8800 Carbon Arte. See it at the LCD, OLED on 16 million colors with a 2 inch diagonal. Strength 3.2 megapixel camera plus autofokus features remain faithful squire 2100 MHz 3G/UMTS network.